Don&apos;t let wet weather ruin your trip. 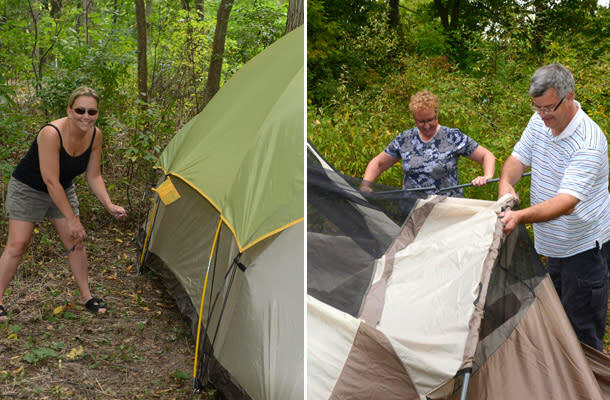 Everyone knows the key to a successful camping trip is good weather, the one thing that none of us can control.You’ve been anticipating this weekend getaway to “get-away from it all,” only to have it rain the entire trip. We’ve all been there, stuck inside a tent, under the nearest tree, or sitting in the car listening to the radio, driving yourself up the wall while waiting it out. How do you salvage a rained out camping trip? My advice, expect the unexpected! As a kid, my family’s favourite past time was our annual camping trip. We would travel all over Ontario to find the best camping spots: Deer Creek, Wildwood, Long Point and Port Burwell, just to name a few. The rain never bothered us kids, we just thought of it as another way to get messy. But, having grown up and gone camping as an adult, I have to say the rain isn’t as much fun as it was then. 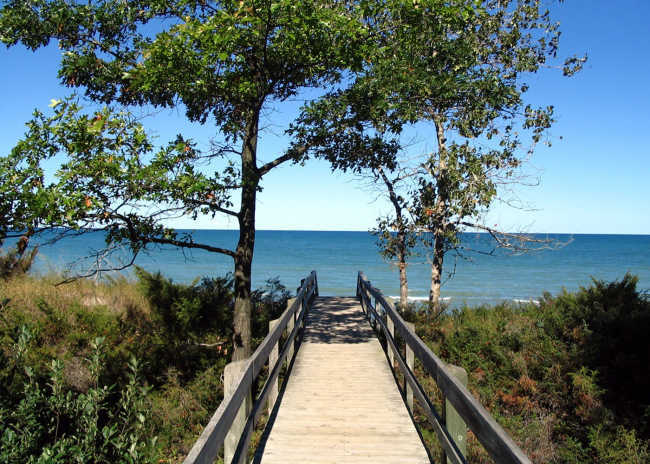 A few years ago, some friends and I stayed at the Pinery in Grand Bend for the long weekend in July and boy did it rain. So much actually, that our campsite neighbours sat in their car while watching their tent and belongings float by. We’ve never seen it rain like that before. Eventually, it stopped long enough for us to come out from under our shelters and assess the damage. Of course, everything was soaked; inside the tents, all the seating, the fire pit, and all of our firewood and starter. From this experience we finally figured out how to be prepared for each mini disaster and soon started building up our escape-the-rain inventory. Tarps, I must say, are a camper’s best friend. The versatility is endless. We’ve used them, tied to tree limbs, to create a makeshift roof over our heads, draped over or placed under our tent as additional protection against moisture and rainwater, and as equipment covers to keep firewood and camping gear dry. Another great tool for surviving the rain is newspaper. When kept dry, it’s great as a fire starter or balled up in your shoes to absorb dampness. Over the years, we’ve also learned you can never have enough plastic bags. Use them to line the side of your duffle bag or put a set of clothes inside to keep dry. You can also put your electronics, paper towels, toiletries, your maps, and matches in a plastic bag to avoid ruining them. Strategically setting up your site is also a big part to minimize the impact of rain. Pitch your tent on high, flat ground, so that all the water will flow downward. Keep everything inside the tent away from the walls to keep dry. Dig a trench around the fire pit; this will help keep the water away from the coals. You can also put a metal covering or pan over the fire pit to keep the rain out. If you’re leaving the site and you think it might rain, make sure to put everything under the tarp shelters or inside the middle of the tent. Even when the storm has passed, and all that’s left is a light drizzle, there are still a million-and-one ways to embrace such unhappy weather. During the evening, card games, toe-warming hot chocolate, and a guitar are all good ways to keep you and your mates entertained. During the day, we often do water based activities in the rain, because let’s face it; you’re going to get wet anyway! Pedal boats, kayaking or canoeing, swimming etc., are all fun ways to make the most of it. Fishing is also at its prime when there is light rain because the fish are less skittish and the low pressure system drives the food to the fish. Grab a pole, kayak or canoe and get to the water, the best part is minimal sun burning. Of course, exercise caution, never go out on the water in a thunderstorm! Sometimes a little rain on a camping trip is nice; enjoying the senses of nature by watching it shower from under your shelter, listening to the drumming on the tent, and being enlivened by its fresh smell speaks for itself.—Rain doesn’t have to ruin your trip, with a few simple steps; you can weather the storm and still enjoy the great outdoors.